Not a great deal of explanation required for this little beauty, try using this in your next “Bloody Mary”. It won’t kick like a mule, but you’ll certainly notice the spiciness. 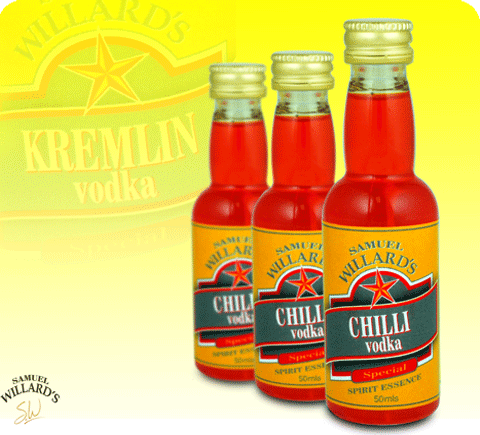 Samuel Willard’s Chilli Vodka essence produces 2250mL of spirit from each 50mL bottle.